The FCA has grappled with fallout since briefing a newspaper last year on plans to review sales of life insurance policies. (Bloomberg) — U.K. lawmakers asked the Financial Conduct Authority to look into whether it’s “suffering from a systemic weakness in standards and culture” after seeming to fail to grasp how seriously it botched a press briefing a year ago. The FCA has grappled with fallout since briefing a newspaper in March 2014 on plans to review sales of life insurance policies. Insurers lost as much as $4.2 billion as shares plunged after the article when the FCA waited over six hours after trading began to clarify the scope of the study. The FCA hired an outside lawyer to look into the matter and reorganized its structure. Still, the Treasury Committee said it found after hearings with the regulator and Simon Davis, the Clifford Chance LLP partner who led the review, that the FCA doesn’t appreciate the severity of the incident. 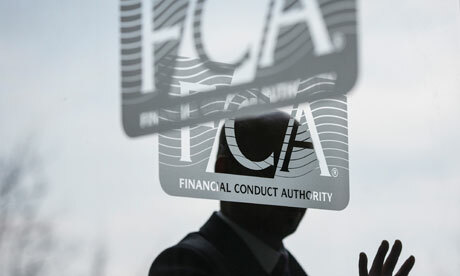 The FCA broke rules that it applies to public companies by briefing the journalist for an article about an inquiry before it had been announced, the lawmakers said. The FCA’s media strategy was “to blame” for the incident, and Chief Executive Officer Martin Wheatley’s refusal to acknowledge that caused lawmakers to be “concerned,” said the committee, which has Parliamentary oversight for the agency. The Parliamentary committee is wrapping up business before the U.K. elections in May. It gave the FCA six months to publish its report on where “senior responsibility” lies at the agency, and how it will accomplish the other proposals from Davis to avoid recurrences of the incident. Two executives involved in the briefing left soon after. That gave “the awkward impression” that they were to take the blame for the briefing, while the FCA stated it was unrelated, the Treasury Committee said. Davis’s independence in leading his inquiry was also put in doubt when he submitted it for pre-approval to the FCA board, and allowed them to give feedback, the lawmakers said. Davis told the committee that his recommendations were “pregnant with criticisms of the FCA” and he had wanted to ensure they had the chance to respond.